2: Short story with audio, Sholem Aleichem’s “Tevye Strikes It Rich," 1895, Yiddish with translation. This is an example of how Tevye transforms traditional Jewish sources when he quotes from them. The line he quotes, “Hamavdil beyn koydesh lekhoyl” is from a blessing said at havdalah, the ceremony marking the separation of the (holy) Sabbath from the (not as holy) rest of the week. The rhyme implies that just as God separates the holy from the commonplace, he is also responsible for separating the rich from the poor. Suggested activity: If students are familiar with the havdalah blessing, ask them where this line comes from and how Tevye might be altering its meaning for his own purposes. Ask: why is he doing this, rather than just saying what he thinks straightforwardly? What does he achieve by drawing on traditional sources? Does Tevye’s misinterpretation of the source suggest that he is ignorant of Jewish texts or that he is not sincere in his religious faith, or does it imply something else about his relationship to Judaism? Sources: Sholem Aleichem, "Dos groyse gevins," in Ale verk Sholem Aleichem (The Collected Works of Sholem Aleichem), vol. 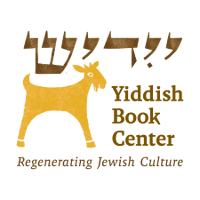 5 (Vilna, Warsaw: B. Kletskin, 1925), 16, retrieved from the Yiddish Book Center's Spielberg Digital Yiddish Library, <www.archive.org/details/nybc203813>, accessed March 1, 2016. Sholem Aleichem, trans. Hillel Halkin, "Tevye Strikes It Rich," in Tevye the Dairyman (New York: Schocken, 1987), 3. Israeli theater artist Shmuel Atzmon reading the work of Sholem Aleichem, Tevye der milkhikher (Tevye the Dairyman), Yiddish Book Center's Sami Rohr Library of Recorded Yiddish Books <www.yiddishbookcenter.org/collections/audio-books/smr-251SholemAleichemK..., accessed March 1, 2016.